This initiative brings children from all over the world to play a modified form of golf called SNAG. These children will play against each other on identical courses from across town, across the country or around the world. This is truly golf without borders! They’ll get to measure their skills against their global opponents without ever leaving their own communities. No travel costs, no waisted time just a lot of fun and competition. Every match is a home match. Imagine if the children and their coaches could talk to each other and language wasn’t a barrier. Well it’s a reality and it’s called SNAG Chat! Coaches will be able to reach out to each other through the Match Board Exchange. There they will arrange their matches and exchange texts with their global counterparts. The children will be able to communicate with each other in a 21st version of “Pen Pals” and forge potential life long relationships. Imagine the possibilities that the participants will be revealing to each other. For the first time in youth sports, the participants are able to not only play for themselves but for those battling hunger around the world. Each 12 person team will produce 1,000 meals from their $99.99 10 play Match Cards. Just 1,000 teams will yield a million meals. Imagine the impact 100,000 teams will have! 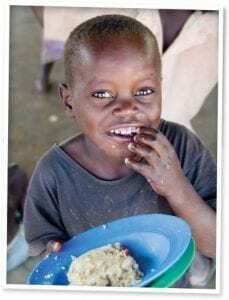 We chose to partner with Feed my Starving Children (www.fmsc.org) to end hunger around the world. This organization is expected to hit the 2 billion mark on meals created by 2020. We are proud to partner with this wonderful organization Join us in helping these children help hungry kids! Who Is Matches for Meals For? From Civic Clubs like Rotary, to kid clubs like the Boy’s and Girls Clubs, Scouts or YMCA’s, to Schools, Churches and Park Districts – Even a golf course could easily field a team. This list represents widely different groups, but all have their communities and kids best interest at heart. Matches for Meals is truly a program that goes far beyond the realm of sport. It can capture the imagination of kids who are at a time in their lives where making a difference, reaching out and becoming your own person truly matters. It is so easy to join, you only need ONE team and you are now free to play around the world. No league fees, no multiple teams, just an open space and a desire to play, learn about others and help those in need. To become a “Matches For Meals Insider” and keep up with all the latest developments of this great opportunity, please take a moment and fill out our information request below – Thank you.